Fire fighters, particularly in urban areas, need the ability to apply foam retardant rather than water to handle chemical and other blazes. GAAM supplies a number of components that can be fitted to fire response vehicles. The Quenchmaster pump foam proportioning system is manufactured by GAAM in a range of models to suit various flow rates and pressures. 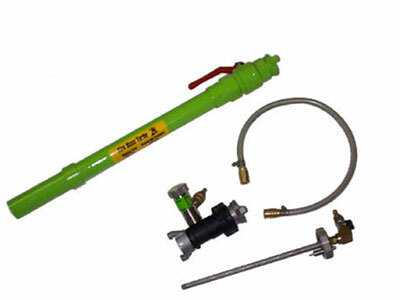 It provides reliable mixture of foam/water and can be mounted remotely or in a control panel. 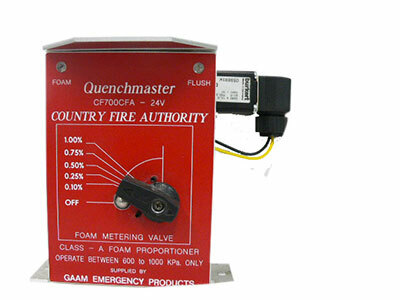 Quenchmaster is simple to install and operate and can be retrofitted to an existing vehicle or installed on a new fire fighting vehicle. 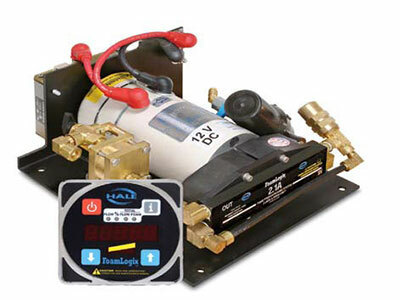 The Hale Foammaster is an efficient, economical foam proportioning unit made especially for slip-on units and single line Class A applications. It delivers accurate proportioning and features an easy-toinstall operator panel with on/off, percentage metering and priming control in one lever. FoamLogix 2.1-A is a true electronic discharge side proportioning unit in a cost effective, compact package. It has full function digital control with a Class 1 flowsensor. 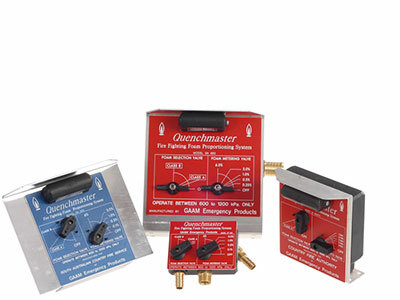 Quenchmaster is an around the pump foam proportioning system developed to provide simplicity of installation and operation. This electronic control module is the interface between the Quenchmaster and the fire-fighter. The Fireboss is an inline Class ‘A’ foam Proportioning system available in three capacity models giving foam accurately proportioned from 0.1% to 1.0%.